Welcome back to another edition of Milk Bar Mornings! Today we will be looking at some music that is for once not in the actual games, but rather something that you could (with some practice) play at home. We will be looking at some of the tracks from the Zelda Series for Guitar book, a sheet music book containing, as the name suggests, various themes from the series. Now you might be wondering, “How could you possibly analyze those pieces? Aren’t they just the notes for the song laid out so that it can be played on the guitar?” Well not quite. Due to the slight limitations on how many notes at a time can be played on a guitar, the musicians behind the book have created covers of the song, containing their own story and overall outlook to the game the song is featured in. So without further ado, to kick off this miniseries, we will be looking at pieces from each game in the adult timeline, by analyzing the songs for their story and technicalities. So hit the jump to see what is in store! 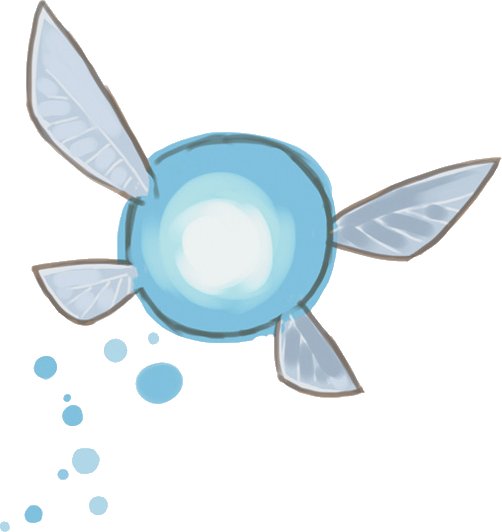 To start off this list, we will be looking at the Great Sea from The Wind Waker. The Great Sea is the primary setting for the game, a vast ocean filled with dozens of islands to explore. Though a dangerous place at times, it’s also grand, and occasionally the player can come across calm waters. The makers behind the book have done a great job of capturing the calm moments behind the sea, creating a piece which is quiet, serene, and lives up to the game it represents. When playing the melody a simple yet layered pattern is used. Every phrase starts out with a chord, and a single note from that chord continues to give a beat, before the next chord arrives, meanwhile the melody is played above it all, making it a piece that sounds beautiful and can be easily achieved with a little practice. The story in this piece, as stated earlier, is a story of calm waters. Throughout the player’s adventure, battles will be fought, family will be left behind, darkness will be foraged, yet occasionally, there are quiet moments where the player can peacefully stare out onto the open sea, enjoying what a beautiful place it is. This cover shows this by giving the message “everything will be alright.” Though everyone in the game may not realize what is truly going on, it is present that a dark shadow is covering the world, growing more powerful by every passing second, and the only one who can stop it is a 12-year-old boy. The usage of chords coming with a single note from it lingering holds the beat, reminding that everything can eventually be steady, including the endless oceans, and that the world will be calm again. Next up on our list, we will be looking at Ciela’s Parting Words from Phantom Hourglass. 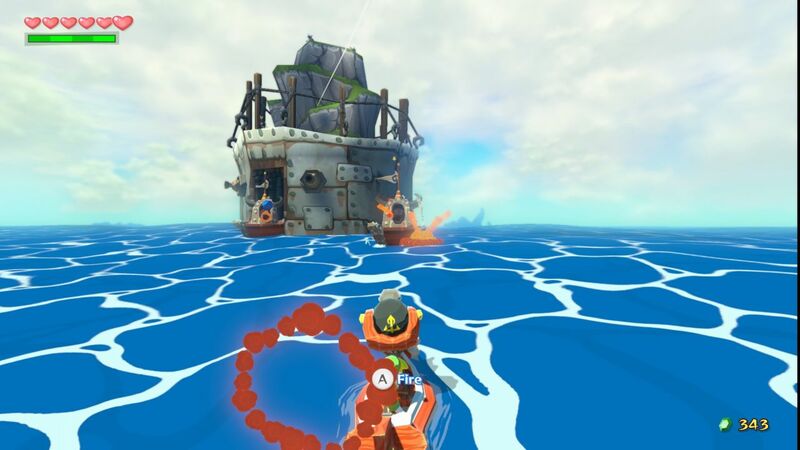 Phantom Hourglass is a direct sequel to The Wind Waker, featuring the same Link, Tetra, and her crew, though it takes place in a completely new area. Instead of venturing on the Great Sea, Link quests through the World of the Ocean King. Accompanying him on his quest is a sailor named Linebeck and three fairies, Ciela, Leaf, and Neri, each one representing courage, power, and wisdom respectively. 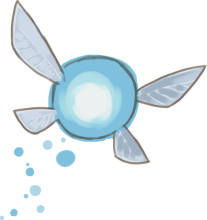 Ciela serves as the main fairy out of the three, being the first one Link encounters, and being in his party for the full course of the game. Eventually when the story comes to an end, Ciela must stay back in the World of the Ocean King, to fulfill her duties as a servant of the Ocean King. The theme that plays during her final scene is quite similar to her original theme, which is a remix of the fairy theme with a melody. Though they are both very similar they both have a slightly different story. The story in this theme is a story of the struggles of moving on. During this scene in the game, both Link and Ciela realize that that would be their last time seeing each other. They each have things to return to, and after all they have been through, battles, discoveries, and reunions, they must finally say goodbye, for what most likely would be forever. The simple fact that this theme is on the guitar changes the meaning. Rather than being on multiple instruments like the in-game version, the usage of a single instrument creates a simplicity, making it truly heartwarming, and more lasting, truly bringing out the relationship created with the player and Ciela through the course of the game. For the final piece we will be looking at the Field Theme from Spirit Tracks. Spirit Tracks takes place a hundred years after Phantom Hourglass, in New Hyrule, a continent founded by Link and Tetra. Instead of the main mode of transportation being through the sea, Link goes through New Hyrule using a train, a major technological advancement in the series. Though a lot of time is spent on the train, a fair amount is also spent on foot in the various locations in the world, a few of which are open fields, where various enemies live in the grass. The original theme was catchy, simple, and fitting, but it can easily be said that it was made better when brought over to the guitar. Since most people aren’t master guitarists, notes can’t be played with the same perfect staccato present in the original, meaning that some notes will stay ringing a beat or two after being first played. This creates a very thick sound to a simple sound, something creating a unique story of its own. The story present in this cover of the theme, is a story of overwhelming odds. In the fields, there are many enemies patrolling, making sure that the player’s journey from Point A to Point B will not be an easy one. 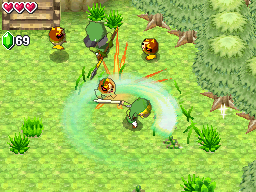 This gives the player the job of both wiping out the enemies and getting to the other side. The grass in the fields doesn’t help Link, either, as it gets in the way, making his trek slightly harder. This all starts adding up, making the fields become a task to get through so that the player can continue of his quest. The thickness of the theme, with each note pondering oh so slightly creates an over whelming feel, marking each field as a battlezone. When Link first starts his journey, this overwhelming feel starts the strongest, slowly fading away until the player masters the sword at hand, like the guitarist finally getting each note to stop right on beat. That is all for part one for our Serenity of the Guitar miniseries! Let me know what you thought about this issue in the comments below! Thanks for reading!